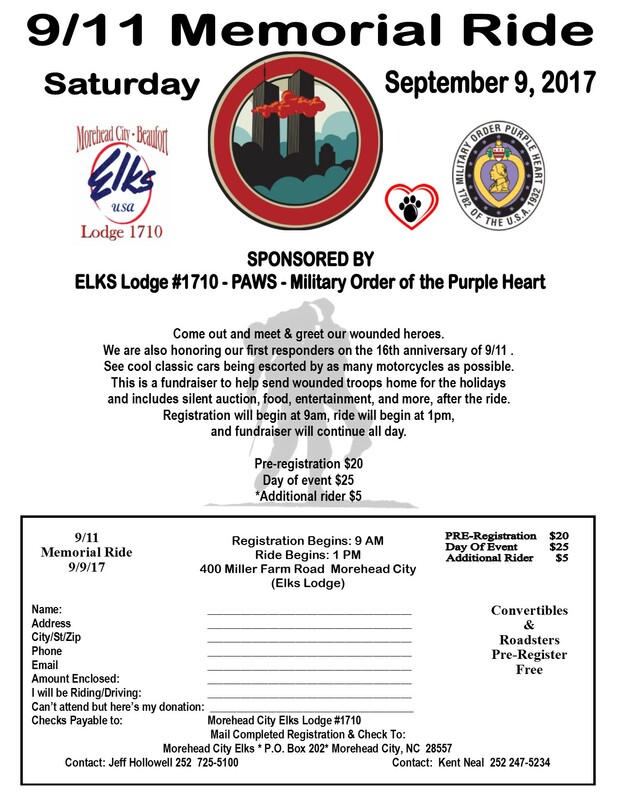 Join Elks Lodge #1710, PAWS of Carteret, and Military Order of the Purple Heart sponsors for the 2017 911 Memorial Ride. The event is Saturday, September 9th. See the Flyer for all information an please come! This entry was posted on Friday, September 1st, 2017 at 2:36 pm	and is filed under Uncategorized. You can follow any responses to this entry through the RSS 2.0 feed. You can leave a response, or trackback from your own site.